Laura Ikeji, fashion entrepreneur and younger sister to Linda Ikeji married her heartthrob Ogbonna Nwankwo few days ago in Nkwerre, Imo state. 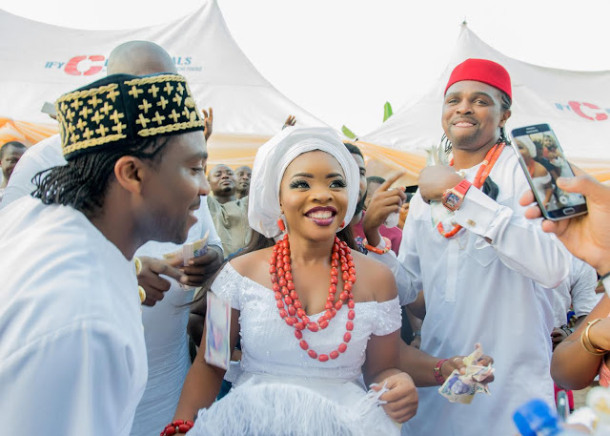 The wedding which was held on Saturday, January 28, 2017 was between her and Kanu Ogbonna, the brother of former Arsenal football club star, Kanu Nwankwo. The ceremony comes shortly after the couple’s recent court wedding at the Ikoyi registry, Lagos on January 19, 2017.